I completely disagree. People all over North and South Carolina are fans of the Panthers and the Panthers are shown in their media markets. I have friends and family in other parts of the Carolinas and they think of the team as just as much theirs as Charlotte’s. We are one of only two teams named after a region (the other being New England), and there are only two other teams named after states (Tennessee and Minnesota). I would actually say that a higher percentage of residents in small Carolina towns are Panthers fans because they are mostly natives of the Carolinas. In Charlotte we have a ton of Panthers fans, but we also have a lot of people who have moved here from other places that pull for other teams. If you ask a Panthers or football fan in general where the Panthers are located you are going to get Charlotte. I am a Panthers fan, and of course we know the team plays in Charlotte. Everyone in the Carolinas hopefully knows that, but I have had people (even football fans) from other states ask me if the team played in North or South Carolina and in what city. It was Jerry Richardson’s vision to have a team that represented the Carolinas. He set out to do this before deciding to locate the team in Charlotte. As a matter of fact he has said that he did not originally have much confidence in Charlotte, but Hugh McColl played a huge role in convincing him to locate it here. The success of the NBA in Charlotte also played a role. The team was not named Carolina because it was located near the state line, but the location near the state line was the logical choice for a team that represented the Carolinas. Charlotte became the city it is today in large part thanks to professional sports. A lot of people thought it was a pipe dream for Charlotte to get an NBA franchise in 1988.
asked by people outsiders from the Carolinas: "The Charlotte Panthers play in South Carolina right?" this should really help with NC or is it SC factor. People in Charleston, Bern, Greenville, Asheville, Columbia, Greensboro would of still cheered for the Charlotte Panthers. They cheered for Washington, Atlanta, and others before. Ain't no different. I get the regional thing, I do. But like you said only a few teams do it, most are very successful without it. When cities cough up 100's of millions for stadiums, upgrades, etc. they at least get to wear the name of their city's team. We're one of the only cities that don't get that after paying those millions. I don't know maybe I'm kinda selfish. I’m not saying they wouldn’t have cheered for a team bearing the Charlotte name, but I’m not sure they would support it the same way they do with the Carolina name simply because it helps them feel like it is their team too. The Hornets have a lot of local support in the Charlotte area, and while they also have some support throughout the Carolinas, if you travel outside of the Charlotte area you don’t see a lot of Hornets gear, flags, stickers, etc. the way you do for the Panthers. I have actually talked to people who live elsewhere in the Carolinas who never knew that the “Charlotte Bobcats” ever existed. The Carolina Panthers name appealed to fans all over the Carolinas and converted fans who otherwise might have kept pulling for the teams they pulled for prior to 1995. Let’s also remember that it was fans (many of whom do not live in the Charlotte area) purchasing PSLs that built our stadium to start with, and it looks like the states of North and South Carolina are also willing to contribute, not the city of Charlotte alone. True on the original stadium, but I still believe they would've bought the PSL's even for the Charlotte Panthers. SC now wants to play ball only cause of the old headquarters talk. For years it's just been us, Charlotte. Its like 18 miles away...who cares? We finally have an owner that IS building a state of the art practice facility. You won't likely find a bigger Panther fan that me and I don't care if they move down the road to SC. Why? Because it makes the team more competitive and MORE attractive to free agents. You really think a FA comes in and says, "Naw man, I ain't driving 30 minutes to that state of the art practice facility...I'm out". Would it be cool to see it built in North End or Eastland mall? Sure. But how long would that take? 5+ years? A self made mega-billionaire and considered one of the best hedge fund managers of his era. Dude is not afraid to spend money but is more than smart about it and maximizes his bang for a buck. Jerry sat pat for 20 years and counted his money while the city paid stadium improvements. If he gets the most bang for the buck in Fort Mill, including a huge I-77 facing Panther indoor practice facility, so be it. Don't forget on this one...SC is much closer to passing legalized gambling than NC is. Don't think that isn't part of this. "Hey if yall can get that SC gambling thing passed first so that NC will be forced to pass it and we will throw you a bone on the practice facility." Not to mention that its the typical for teams to have large practice facilities away from their stadium, especially if that stadium is an urban setting, where additional land might be impossible to secure or insanely expensive. The Bears facility is 39 miles from their stadium, as a comparison, and the Vikings just built a palace out in Eagan with a 6,500 seat practice stadium, synthetic and grass practice fields, an indoor facility with a 98 foot roof to allow for punting, and 277k sq ft of indoor space for offices, training, locker rooms, weight rooms, etc. The Panthers are way, way behind on this stuff. 1. It likely cements the Panthers as a Charlotte region sports franchise for decades to come, even if they don’t play in Charlotte proper. At Tepper’s initial presser, he committed to keeping the team in the Carolinas but, perhaps inadvertently, left open the possibility that the team could move to another metro area within the Carolinas. However he has also said that he doesn’t want to have a practice facility more than an hour away from the stadium they play in. If Ft Mill or Rock Hill is chosen then, Metro Charlotte is pretty much the only place the Panthers could play and still be less than an hour away from the practice facility and team hq. I guess the northern parts of the Columbia metro area would be within an hour, but I just don’t see the team building a stadium in the Winnsboro, SC area. 2. It reduces the possibility that the team will ever play in S.C. Aside from the two states one team mantra that Tepper seems to be a fan of and the fact that an S.C. practice facility and hq with a N.C. stadium gives him just that, Tepper has now exhausted the economic development angle that most teams use to extract concessions from local governments. S.C. economic development incentives are based on numbers of jobs created. Since the HQ move is what carries with it the jobs, and since the hq move is decoupled from a stadium build, it is highly unlikely that Tepper will be able in the future to use the economic development angle to gain access to S.C.’s liberal economic development grants to build a stadium. Any future stadium build in S.C. would then most likely have to go to a referendum, and I’m pretty sure neither York nor Lancaster have the political and/or economic resources to build a $1bil+ stadium. 3. To piggyback off number 2, now Charlotte is in a better negotiating position if/when Tepper does come around to asking for Stadium funds. If the threats to move the team are hollow (which I believe given the aforementioned they would be) and if he has already taken the hq elsewhere (and with it the tax rolls), then there is no incentive for the city to play ball. It would be easier for the city to walk away from the table. Sure he could argue that the hotel room-nights brought about by the stadium would go away, but it is really hard to justify a public subsidy of hundreds of millions of dollars for a stadium on the basis of room-nights alone, especially when room-nights are somewhat indirect economic benefits. If he did end up moving the team out of Charlotte, it would likely go to Tepper land in S.C. which, as stated before would still be in the metro area and still easily accessible for local fans. Note: I think all this, when taken in totality, bodes well for BofA remaining the Panthers home stadium for a long time. 4. I think it may help usher in a Winthrop football team in the future. Some of the new practice palaces built for NFL teams have small stadiums attached to them. Winthrop could use the small stadium co-located with the practice facility reducing the financial burden of starting a football program, and it would give Tepper more revenue creation opportunities-a win for both sides. 5. If they build where I think they will build it will make a transit line to York County more feasible. 6. Allows the team to live up to the two states one team mantra. I didn't think of this but it should almost be a given. I can almost guarantee there will be a stadium of some sorts to accommodate fans for training camp (even it is a expandable 8k seat bleacher stadium). Sharing the field with Winthrop for games would be a no brainer (assuming the college kicks in for their own locker rooms etc). Not sure they could share the whole practice facility, but I am sure they could for games. Now about parking...that will be interesting to see the master plan. But again...makes sense. I am sure Tepper will be making sure that the facility is multi-use. Think a multi-use field turf stadium (along with another grass field) with seating for 8k that could be used for soccer, football, lacrosse, concerts, etc that could be used 10 months a year. Rock Hill's biggest HS stadium holds 8200 fans so I am guessing Tepper could in reality add a 10k seat stadium and not blink an eye and be able to host SC state playoffs (the finals are typically played in Williams-Bryce) and any other moderately big event. In many ways, bringing in SC may be the best and only way to get the state of NC to wake up and support the only NFL team in the state. Otherwise I could see the stadium subsidy to only be a Charlotte or Mecklenburg county effort. 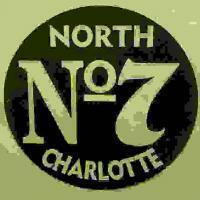 I'm a Charlotte native first and a North Carolinian a distant second. I have very little connection to the rest of the state and think non Metrolina North Carolina takes Charlotte for granted. That being said I have no problem with "Carolina" in the name. Arizona Cardinals, Tennessee Titans and Minnesota Vikings have been opperating fine for decades. Hell the Patriots don't even have a State name in their name and no one confuses them as Boston's team. I don't see a problem with Carolina as well. Two states always lumped together as far as conversation goes nationally. I think it has been that way for a long time; the Carolinas....but I do have an issue with only NC residents pitching in for stadium upgrades and SC can not pay anything and get a HQ. Doesn't quite sit right with me. In the end I don't really care as long as that team stays and plays in Charlotte-city. SC can have ancillary facilities but the meat and potatoes happens on Sundays. Plus I want to see the plan for the space freed up as well. I understand your viewpoint. I think the way NC didn't invest in road or rail connections to charlotte from the east can be part of why as whole there is not a huge support of Charlotte. For me growing up in Fayetteville, Charlotte seemed soooo far away. in actuality it was because of no direct route to the city. I never understood that. However, I can honestly say the Panthers have a very strong following now back east than 10 years again. Also I don't know anone who disparages Charlotte. They are quite proud of the gleaming skyline when shown. I think its the short-sided politicians who keep the playing the "urban" nc against the "family values" NC going. Its a shame really. Just saw a report on WSOCTV stating Mr Tepper mentioned a light rail line to Rock Hill or Ft Mill. Hmmm I dont see that happening if light rail access is important better find a site in Charlotte Mecklenburg. He said Gov McMaster was supportive. So let me get this straight get NC to pay to extend the line to SC so the training facility can move there? Perhaps Charlotte should counter with some free land the airport owns off Wilkinson or something. Keep in mind that some of the parcels they are looking at are controlled by Lincoln Harris... let's hope that Tepper has design control over the entire development. Just imagine a Lincoln Harris developed practice facility, terrible design moves, and EIFS as far as the eye can see! Having the facility going to SC also frees up more incentive cash for a stadium renovation or new one in the future. Or perhaps Eastland or Philip Morris. Or maybe Bruton could get involved and put it on some of the speedway land. Can you imagine the spark Eastland would be and I would be in favor of speeding up the streetcar line all the way out there. That being said I have no problem with "Carolina" in the name. Arizona Cardinals, Tennessee Titans and Minnesota Vikings have been opperating fine for decades. Oh, yeah. I forgot about Arizona in my previous post. The Cardinals have been there since the ‘80s (previously the St. Louis Cardinals and originally the Chicago Cardinals) and the Titans have been in Tennessee since the ‘90s (originally the Houston and then Tennessee Oilers - playing their first TN season in Memphis). “Carolina” or “The Carolinas” is a regional name like New England, but since Carolina is also in both state names, it represents both states. Maybe there is a little bit of a NC-SC rivalry, but if so it is a friendly one. South Carolina or York County needs to pay if that is going to happen. Sure it would be nice to have the Blue Line extend to Carowinds and Panthers Practice Park (or whatever they are going to call it), but SC and York County need to do their part if they want light rail. Gaston County seems to be more willing to contribute to the silver line. 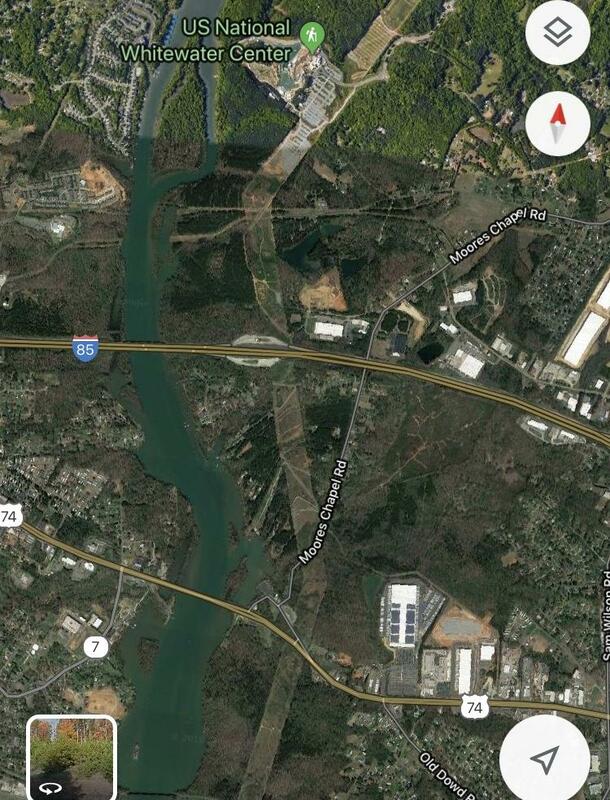 Maybe somewhere near Lake Wylie / Catawba River would make sense. Latest Observer article mentions sources are saying Tepper is looking to buy 200 acres in Rock Hill. Source mistaking Rock Hill for Fort Mill? Not sure anyone had thought about Rock Hill proper and where that land may be. Maybe something along the river? I have heard Rock Hill multiple times. I would expect the land to be right on I-77 and there isnt a ton of land to be able to develop. Maybe the area just north of the river, bridging together Ft. Mill and Rock Hill. I see Riverwalk as a development competitor. Maybe the temp practice bubble? Per wbtv. There are better renderings out there. Long overdue imo...to be the best, gotta have the best...thanks Tep! One thing Tepper has done is increase the social media efforts of the team, which is great! Uhm, the Panthers social media team - has been the best (or pretty darn close) in the industry since before Tepper! Not diminishing everything else that Tepper is doing for Charlotte and the team!